A Very Modern Piece of Equipment! 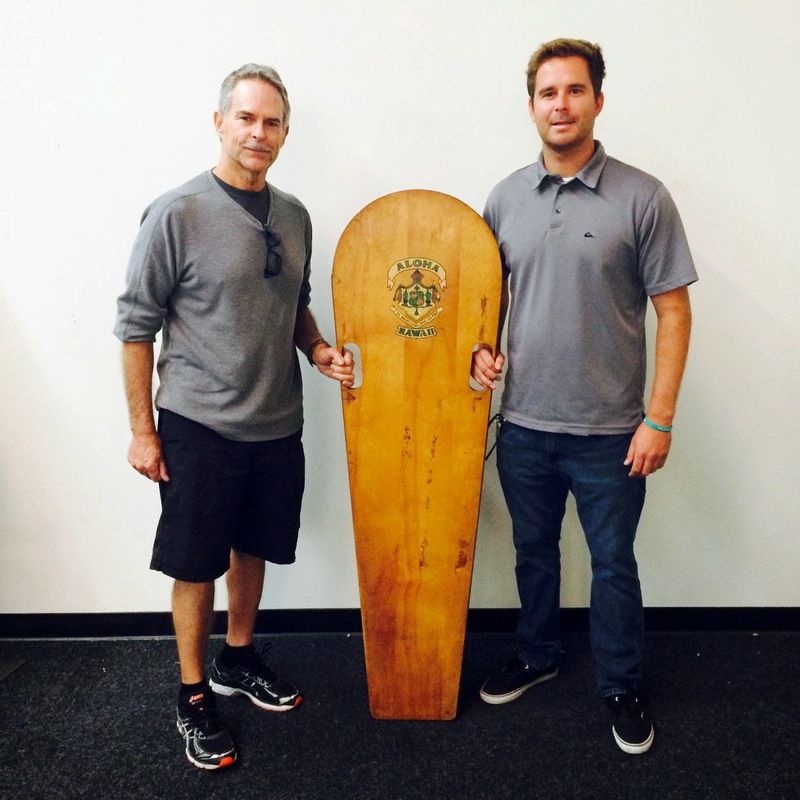 SHACC Founding Partner, Tom Holbrook and Tom Jr. stopped by to donate this amazing Hawaiian bodyboard. Most likely produced by Pacific System Homes for tourists to use when visiting Waikiki, this one is in amazing shape. The story goes that this board was on display at Jack's Surf Shop on the corner of PCH and Main in Huntington Beach for many years. Allan Seymour went in and made them an offer and eventually it was purchased by Tom at one of Allan's auctions. The decal is nearly flawless and aside from a curved piece of wood missing from the front end of the board, it looks like it received very little use. In the Hawaiian crest on the decal, it reads, "Ua Mau ke Ea o ka ʻĀina i ka Pono," which is a well-known Hawaiian phrase that was adopted as the motto of the state of Hawaii and is commonly translated as, "The life of the land is perpetuated in righteousness and beauty." We couldn't agree more!